These are books I made as thank-you gifts. 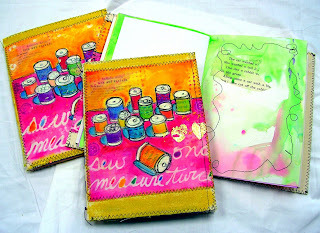 They're basic watercolor paper pages bound to a cover made of fabric. The image is printed on fabric and then painted and stitched. These are essentially blank books for the recipients to enjoy. And I hope they do!